Mark your calendar and join us for the Seder Meal at Assumption, April 13, following the 5 p.m. evening Mass in Ferdinand. The Seder Meal is celebrated in the Christian tradition in remembering the Last Supper when Jesus ate with his disciples. Holy Thursday, April 18: Mass of the Lord’s Supper 5:30 p.m. St. Anthony; 7:30 p.m. St. Mary’s; Good Friday, April 19: The Lord’s Passion 5:30 p.m., St. Anthony; 7:30 p.m. St. Mary’s; Stations of the Cross, noon at St. Mary’s on Friday; Holy Saturday - The Easter Vigil: 7:30 p.m. at St. Mary’s; Easter Sunday Morning– Mass of the Resurrection: 8 a.m. - St. Anthony; 10 a.m. - St. Mary’s; 10 a.m. - Assumption (Msgr. Andy). Congratulations to Carol Schaeffer who retired after 25 years of delivering mail in the Ferdinand area. Married couples: Commit to strengthening your marriage this lent. Sign up today to attend one of the upcoming Worldwide Marriage Encounter Weekends on July 19-20, in Boise. For information call 503-853 -2758 or apply on-line at www.rediscoverthespark.org. Additional dates and locations are listed on-line. The Partnership for Healthy Communities is again sponsoring the Walk the Prairie and beyond for Health. It gives you a chance to explore your local communities in Idaho, Lewis and Clearwater counties while you get exercise. Prizes are drawn at every walk. Every time you participate in a walk, your name goes into a drawing for a Fitbit. The drawing will be held on the last walk in Kamiah. Registration starts at 8:30 a.m., and all walks begin at 9 a.m. All ages and fitness levels are welcome. There is no charge to participate. For information call Leah at 208-553-7878 or Barbara at 208-400-0071. 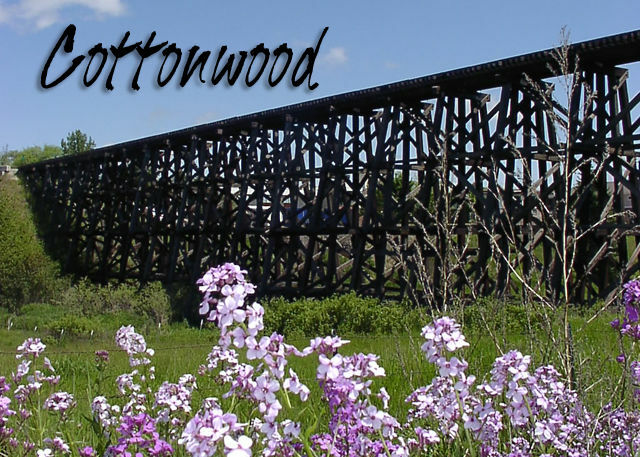 The April 13 walk will be at Cottonwood. Meet at the City Park. No walk on April 20 (Holy Saturday).